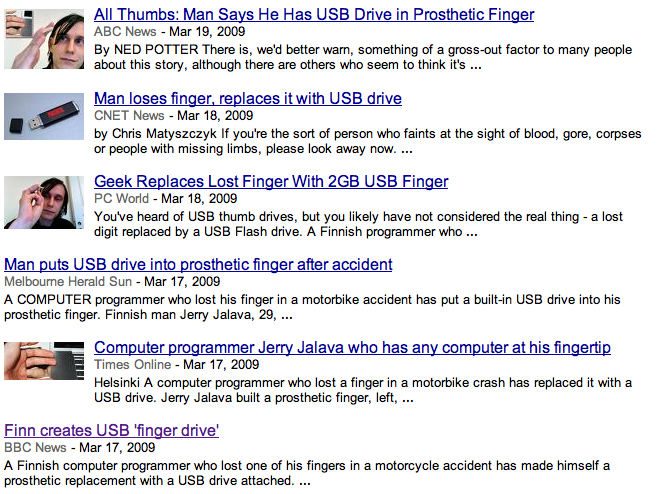 Week and half ago I posted a story on Jerry's USB finger. 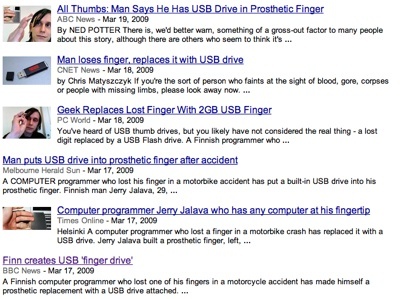 While obviously we all thought the idea of replacing a lost finger with USB storage was cool in a cyberpunk way, we still felt it was old news as all had happened around last summer. 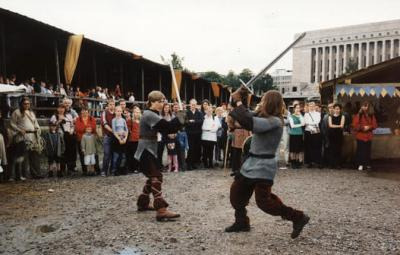 And so, the worldwide interest around it took us by quite a surprise. The story was an all major news websites, and even on radio morning shows. A week after the post Jerry was visiting our office to do integration testing for a project and the media circus was running at its hottest. His phone, and even mine were ringing quite often, with interview requests ranging from Indian radio stations to Channel 4 News and Reuters. Will be interesting to see how much longer the attention stays on when the story hits the TV networks next week. Never underestimate what a single blog post can initiate! 07 May 2006. 1 minute read.